We offer paper and reinforced gum tapes for a variety of packaging applications. 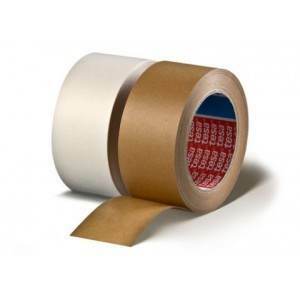 Reinforced gummed tapes are designed for fast permanent adhesion and superior strength. Reinforced tapes have strong fiberglass yarns for extra strength and are recyclable. Reinforced gummed tapes are unaffected by extreme temperatures and demonstrate excellent performance in high speed, overfill and underfill applications. We also also offer a variety of printed tapes that can bring attention and security to your packages.